Undoubtedly the most mysterious and the most dangerous of the Sectors, Carthage is a unique place within Lyoko. 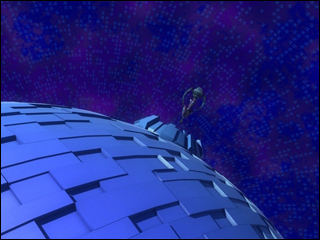 It is the centre of the virtual world, where all the secrets of Lyoko are contained, as well as a lot of information on XANA and Hopper! It is to here that all the tower power cables in the Surface Sectors converge (when they exist)! The name of the Sector itself seems paradoxical. While the heroes rashly call it Sector 5, it seems to really be called Carthage...exactly the same name as the military program which XANA was supposed to destroy: "Project Carthage". In the end, XANA did destroy Carthage, but not for good. 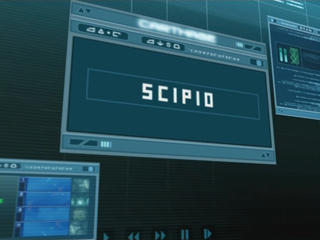 Hidden deep in the very heart of Lyoko, Carthage was only accessible thanks to the Transporter that appears when Jeremy enters the password "SCIPIO". Without it, reaching Sector 5 was impossible. It comes to collect our heroes at the edge of the 4 other Sectors and takes them to the Arena, a circular room, the sort of entry hall of the Sector. As of episode 64 "Double Trouble", he heroes can be virtualized there directly! A strong luminous flux surrounds Carthage, preventing us from assessing its real aspect. This strong source of energy was stemming, in fact, from the incalculable amount of data transiting towards the central Sector and captured by it. 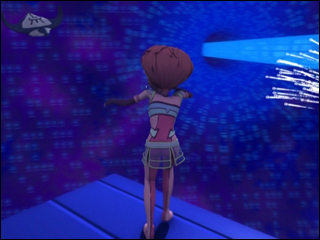 In episode 66 "William Returns", Carthage is the only present Sector of Lyoko, just like in a Replika of the Sector. So, thanks to that, we were able to get a full view of Carthage. 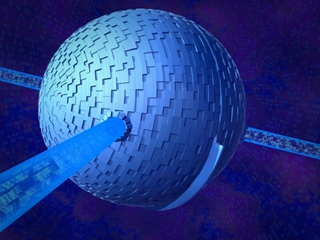 The Sector appears as a huge ball in a huge sphere. Even if their shape is similar, the ball is filled with material, whereas the sphere is hollow. The first layer of Carthage, hidden by the aforementioned light, seems fine enough. Of solid appearance outside, its consistency seems similar to that of the outside of a Replika, strengthening the idea that Carthage is an autonomous world within the virtual world. The inside of this sphere establishes the extremities of a well-known digital sea (from where Mantas come out) and which marks the limits of the Celestial Dome. The ball is the main component of the Sector. It floats in the middle of it like the core of an atom, surrounded by 4 streams of data connecting it to the 4 other Sectors. We know that Carthage is XANA's home, the place where it lives. This Sector is not connected to the normal materialization program, which is used by the other 4 Sectors. This means that if one of our heroes loses all their life points in Carthage, they will not come back to Earth until the appropriate program is launched. Jeremy and Aelita have to quickly discover this program to give their friends the chance to get around on this peculiar Sector (episode 29 "Exploration"). The Sector is often filled with traps, meaning that the heroes can be devirtualized here by things other than the monsters! Even if it is only discovered in season 2, the importance of Carthage is brought to the forefront of the series. The Sector holds many stakes and its control is heavy with consequences. From the point of view of the virtual world, Carthage is the central Sector, and not just in terms of the location. If on our Earth, "all roads lead to Rome", on Lyoko, "all the cables lead to Carthage". Effectively, all the towers of all the Surface Sectors are connected via their cables to Sector 5. 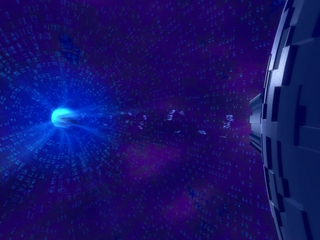 Their data passes in transit in the form of a stream which flows into the blue Sector up to the Core of Lyoko. Carthage is thus Lyoko's data bank. Information on XANA, Hopper or anything to do with virtual life, everything can be found on the interface. 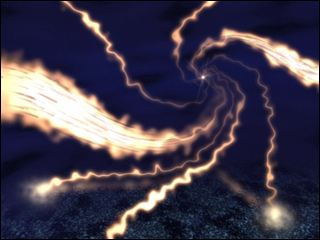 Carthage is also the energy centre of Lyoko. It can send energy to the towers, or even the Skidbladnir. Jeremy uses it in episode 67 "Double Take". The most powerful programs, such as the one that gets rid of XANA or even the one to repair the bug affecting Odd and Yumi in episode 42 "A Fine Mess", can only be launched from the interface. Carthage is thus the incessant scene of confrontation between the heroes and XANA which can have multiple stakes. 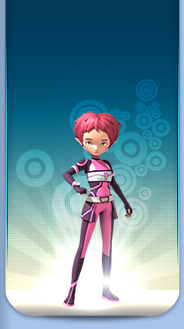 Without the Core of Lyoko, the virtual world cannot exist anymore. 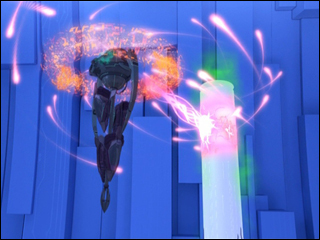 XANA, having escaped from Lyoko to create its own Replikas, tries to destroy the Core and Lyoko. The heroes will have to protect Sector 5 this time. Nevertheless, energy will be the source of other conflicts, in particular for launching programs, as mentioned above. In the 4th season, Sector 5 is unfortunately much more in the background and takes a secondary role. Except for two attacks that concern the Skid (episodes 70 and 76) and the attack on the Core (episode 76), Carthage serves only as a place from which the heroes take the Skidbladnir. The main scenario is as follows: the heroes arrive, board the Skid, leave and return an hour or two later, park their vessel and are devirtualized. Sometimes, the heroes, after boarding the Skid, have to interrupt their mission to return quickly to Earth following a problem (like in episode 81 "A Lack of Goodwill") or to Lyoko to counter an attack (episode 75 "Hot Shower"). In this last case, there wasn't even a need to return to Carthage. In a nutshell, in the fourth season, Carthage is the point of transition between both poles of confrontation: the Surface Sector towers and the distant Replikas in the Digital Sea. Its importance thus crucially decreases. It is nevertheless on this blue planet that the conflict comes to an end: Franz Hopper sacrifices himself in order to transmit the needed energy to Aelita, who engages the multi-agent program there, which is the cause of XANA's death. Nevertheless, we could bring up a tonne of other events which took place there, such as Yumi's rescue in episode 34 "Missing Link". If she had stayed there, there would certainly be a missing piece in the series. Carthage is at first under XANA's total control. This is clear through numerous facts, the first one being the ceaseless proliferation of its monsters there. Creepers are present, sometimes by the dozen, appearing everywhere. 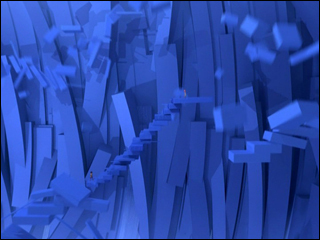 Besides that, XANA uses its influence on the Sector to open up passages for them in walls or to transport them on blue blocks (episode 52 “The Key"). XANA's presence can be perceived various ways that are impossible to expand upon. Let us reference for example episode 30 "A Great Day" in which XANA hides Trojan data in the interface to infect the Supercomputer and reach secure areas. Also, in episode 29 "Exploration" where it set up a corridor full of laser beams. Last apocalyptic example: the complete collapse, also in episode 52, of the decoy room. Then the moment comes when XANA says "Goodbye, Lyoko”. After leaving through the network, XANA gave up a part of the hold it had on Carthage. We can prove this in the following manner: if it had still been connected to the world as much as it used to be in the beginning, the multi-agent program would certainly have destroyed Lyoko in the same way as it did the Replikas. However, the program can again dazzle us with its sleights of hand. In episode 62 "Nobody in Particular", it opens a passage through a wall to Ulrich's Xanafied shell. And finally, Carthage died. There is little time... When Jeremy recreates Lyoko, he changes it around completely and the genius is then at the command of Sector 5. This is clear through several examples. - He becomes capable of modifying the essence of the Sector, shutting off the pesky security mechanisms like the key, which is gone by episode 66. - He modifies the structure of the Sector by creating the Skid Hangar. - He becomes capable of extracting energy from it. He diverts it to protect the towers (episode 67 “Double Take"), the Skidbladnir (episode 88 "Cousins Once Removed") and even to create programs (the multi-agent program from episode 94 "Fight to the Finish"). Jeremy's appropriation of Carthage thus modified the balance of power between XANA and the heroes, and gave a breath of fresh air to this Sector which we began to get used to. (Note: some episodes are not mentioned because the heroes only go there to take the Skid (according to usual recurring sequences in the series, such as the virtualization sequences)). #48 Is There Anybody Out There? Visit Carthage in a video! The Arena is a room situated in the centre of Carthage just above the Core Chamber. It is the only room in Sector 5 to never change in appearance. 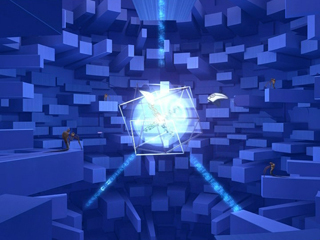 The circular room is surrounded by the characteristic blue walls of Sector 5, its floor is of a darker blue and decorated with an enormous eye of XANA. It is in this room that the Transporter always comes to drop our heroes off, by sinking into the depths of Carthage. When the Transporter puts the heroes down, they have to wait a little, until a passage opens in the wall... Narrow, wide, a staircase, a rhombic window...but always there! It leads to the rest of the Sector. As soon as the heroes leave the Arena to enter this wide complex, a countdown starts. If it is not cancelled, the whole interior of Sector 5 goes into turmoil: the configuration quickly evolves and every cm² of Carthage moves. 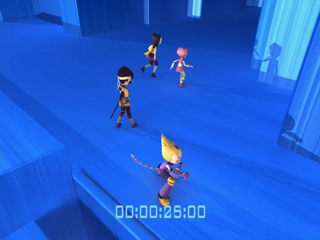 From then on, being in Carthage becomes very dangerous: the heroes have to get back to the Arena as soon as possible, or become the Sector's prisoner (like Aelita in episode 29 "Exploration"), or even worse: end up as porridge between two walls (just like Yumi in episode 48 "Is Anybody Out There?"). To cancel this infernal chronometer, they have to find the key. The activation of the key engages all the same modifications of Carthage's configuration, but they are minor. These changes have only once had a devastating effect: in episode 65 "Final Round", they separate William from Aelita, exposing the newly-recruited Lyoko Warrior to the dangers of the Scyphozoa. William is caught by the monster, leading to the disastrous consequences we know all too well. However, who's to blame? The key or the inexperienced Lyoko Warrior who doesn't obey his mentor? There aren't just a few rooms in Carthage, but a complex network of large and small rooms and corridors. This is especially the case in the northern hemisphere of Carthage. This mess of space forms an enormous labyrinth that changes every time the heroes visit. It is very difficult to find your way there and if Jeremy does not guide the heroes, they easily get lost! In this zone, the permanent danger is Creepers, that climb any kind of surface and can appear from anywhere! When the heroes roam through the Sector, they mainly have an objective: find the key room, with the aim of activating this famous key! It is in the shape of eye of XANA, the pupil being the trigger! Regrettably, the key is well-hidden, well-protected, well-placed! Sometimes, the heroes find themselves in the key room immediately after leaving the Arena, but other times, they have to cross this previously-described multitude of pathways! As soon as they enter the aforementioned room, sounds can be heard: very familiar cries: the Creepers arrive, ready to devirtualize the heroes, or at least to slow them down until the countdown ends. #29 - Exploration: the key is placed high up. #29 - Exploration: the key is at the end of a hallway filled with laser beams. #34 - Missing Link: blocks fall from the ceiling and squash anyone who tries to get to the key, at the end of the walkway. #44 - Vertigo: the key is extremely high up near the ceiling, there are also Creepers. #48 - Is Anybody Out There? 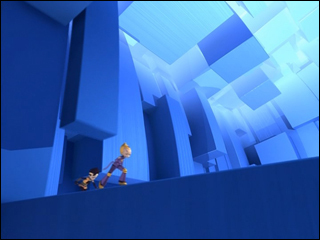 : at the end of a room whose floor turns into a giant "puzzle" whose pieces rise and fall, threatening to throw the heroines into the void if they miss a jump. #49 - Franz Hopper: the key is high up, easy to reach but guarded by Creepers. #52 - The Key: it's at the end of a beam, high up and guarded by a Creeper. #53 - Straight to Heart: on the wall of a room in which blocks rise and fall from the floor. #57 - Aelita: high up with a block beside it for access, but guarded by Creepers. #60 - Temporary Insanity: nothing guarding it, it's at the end of an empty room full of traps. #62 - Nobody in Particular: the key is at the other end of the room but blocks rise and fall, crushing anyone who dares cross. #65 - Final Round: the key is high up, guarded by Creepers and blocks rushing up from the floor, blocking access directly to the key and forcing the heroes to make a detour. The heroes are often confronted with a room in perpetual movement, which demands skill and speed to reach the key! The activation of the key is essential to move on through the Sector. When Jeremy recreates Lyoko, he appropriates Sector 5 and deletes the key and its countdown... Why do things the hard way? However, sometimes the heroes discover other surprises in the depths of Carthage. This happens in particular when they do not directly from the main area to the elevator that takes them to the Celestial Dome. In episode 52 "The Key", a vast well builds itself at the time of the key activation, leading to the decoy of Aelita's missing fragment! Another time, in episode 49 "Franz Hopper", the heroes, by running away through the corridors of Carthage, come across a big surprise: a tower in the middle of Sector 5! This tower is the only one that was discovered before the Destruction of Carthage! 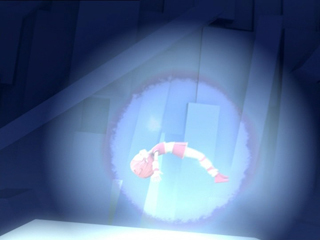 The Superscan can only detect it since Jeremy and Aelita recreated Sector 5, and she floats in mid-air. That is why this tower is unique and very mysterious! Aside from episode with the tower (which will never be seen again) or the one with the missing fragment, the sphere is only a stop-off point. 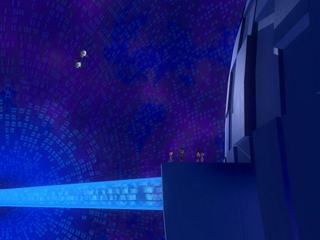 It leads to the Celestial Dome or, on the Second Lyoko, the Skid Hangar. When the key is activated, a passage opens in a wall and the heroes can hurry through it. However, they do not arrive directly at the Celestial Dome because the main area of Carthage is surrounded by a sort of envelope. All around this envelope, the Sector 5 elevator circulates at high speed! The heroes need to jump to land on it because it doesn't stop to pick up passengers! When the heroes are on it, all they have to do is wait to be driven to an opening which, this time, does open out onto Carthage's exterior! Once off the elevator, a passage opens in the wall and opening onto the vast Celestial Dome. To tell the truth, this place isn't very easy to get around without a vehicle because there is only a small platform above the digital void. However, at the end of this platform is something of significance: the Sector 5 interface! 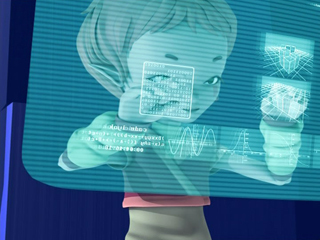 When Aelita connects to it, she has access to an unbelievable amount of data on XANA, Lyoko, Sectors, and Franz Hopper! The heroes often found the solution to numerous riddles there. In episode 57 "Aelita", the girl discovers that her father is still alive. In episode 55 "Tidal Wave", she discovers how to debug the Digital Sea. But during their numerous expeditions, the heroes especially discovered much information on XANA, which helped Jeremy in his searches. The Carthage interface is forefront of the series spotlight: the deathblow made to the heroes' enemy when Aelita engages the multi-agent program that removes XANA for good. But before arriving at this final point in the series, XANA had time to take advantage of the heroes' searches on the interface: during episode 30 "A Great Day", it places Trojan data in the interface, which allowed it to take control of the Return to the Past! So, browsing the Carthage interface doesn't only present advantages: on one hand, when Aelita uses it, Jeremy has no more access to the controls. On the other hand, as soon as someone touches its interface, XANA makes its Mantas hatch through the outer wall of the Celestial Dome that surrounds Carthage! From then on, it is necessary to mount vehicles and launch into an epic aerial battle! Careful not to fall into the Digital Sea. 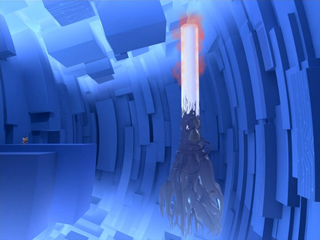 When the search for information is finished, Jeremy can temporarily open one of the four tunnels around Carthage, by removing the data flux passing through it. The Lyoko Warriors then only have to rush into the hole and to come out again through the Way Tower of one of the Surface Sectors, or simply into the digital sky above one of the Sectors. 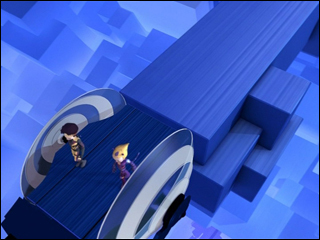 It is through these same tunnels that the heroes leave the central Sector aboard the Skid to exit Lyoko via the portal. The entrance itself is a sight to behold! Enormous mouths open and close incessantly like an infernal jaw. And what's more, getting caught between its teeth means instant devirtualization, although our heroes have never experienced this! They therefore have to fly up to enter this space to the south of Sector 5's the digital sky! Once this deadly trap is crossed, we then find ourselves in the southern hemisphere of Carthage, where the labyrinth does not extend. After gaining a little altitude, the visitors end up in front of a key, like the one to cancel the countdown. 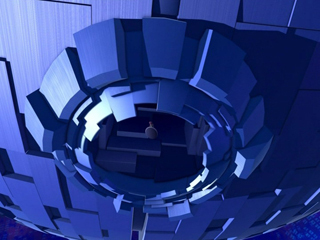 The difference being that this one makes a staircase materialize itself, leading towards the famous chamber where the Core of Lyoko is situated, floating at high altitude. 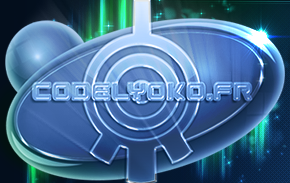 This Core manifests itself as a miniature representation of the current state of Lyoko! At the beginning, it represented the whole digital world but decreased in volume according to the destruction of the Surface Sectors! 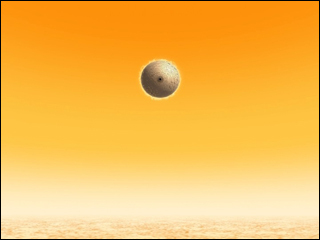 In the end, it was only represented by the yellow sphere adorned with four eyes of XANA, symbolizing Sector 5. The heart of Lyoko generates Lyoko. The data flows from other Sectors converge on this Core. It's Carthage's energy that maintains the Forest, Mountain, Ice and Desert Sectors. The Core is indeed a considerable source of energy (isn't the multi-agent program created by Jeremy born there?). From that point, its destruction causes the apocalypse in the virtual world; its disappearance! Luckily, the Core is protected by two cubes that act as shields; each being able to take a significant amount of impacts! Furthermore, its shields auto-regenerate: they repair themselves between attacks. Attacks? Well yeah, attacks by monsters of course, because XANA has understood that in order to easily get rid of Lyoko, it only has to destroy the Core. However, it's neither a Creeper nor a Manta that delivers the final blow to the Core but William, recently Xanafied (episode 65 "Final Round")! Though the Core never changes location, this cannot be said of the room it is in. Generally, blocks are often placed so that they form a spiral staircase leading from the bottom of the room to the top. The multiple growths that jut out of the wall favour the ascent towards the summit just as much as the arrangement of Creepers in the room. More rarely, in the absence of steps the road to the Core must be taken on a vehicle (episode 62 "Nobody in Particular") or a Manta (episode 55 "Tidal Wave"). To find out more about the attacks on the Core of Lyoko, check out the XANA section. This room wasn't present before Lyoko's reconstruction. 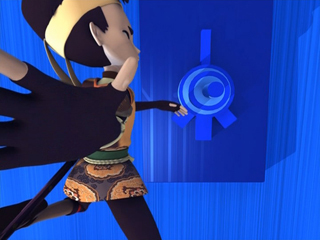 Jeremy having given himself firm control over the Second Lyoko's Sector 5, he gains the ability to modify it. Aelita, however, is the one who created this room while her lover was working on the Skidbladnir. The Skid Hangar is thus born during episode 70 "Skidbladnir". In terms of location, the Skid Hangar is located in Carthage's northern hemisphere. From the labyrinth in the main sphere, it's accessed via a similar elevator to the one leading to the Celestial Dome (with fewer doors to cross through). 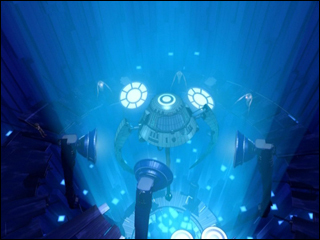 Although built by Aelita, the elevator can't only by used by the Lyoko Warriors, as three Creepers borrow it in episode 70. The Skid Hangar's role is in its name: it's where the Skidbladnir, the vessel used to explore the Digital Sea, is stored when the heroes aren't using it. It's held up by four pillars. The room is circular, a round pathway leading around these pillars. This space also has five embarking spots. Four smaller ones around a large one to form a sort of cross. These spots are used to teleport the heroes into the Skidbladnir. The largest one is reserved for Aelita and takes her to the Skid's cockpit, and the four others lead to the Navskids. In the end, only four of the five will be used. We unfortunately never got to see William board the fourth Navskid via the final spot. Finally, in the perfect north pole of the Carthaginian globe, there is an opening that allows light into the Skid Hangar, and particularly allows the submarine to exit, then going through the Celestial Dome as described previously. In the end, the Skid Hangar will only have a secondary role. It conforms to Sector 5's general purpose in season 4: a stop-off spot before heading to the Network or a Surface Sector. A battle baptises the room in its first appearance. William, backed by Mantas and Creepers, tries to infest it and destroy the vehicle within in episode 70. In episode 76 "The Lake", the Scyphozoa enters with the same goal. However, a shield upgrade ejects it. Note: this subsection briefly compares the Carthage of Lyoko with the Replika of Sector 5 discovered in episode 87 "A Space Oddity". Outside, the Carthage Replika appears much less complex than Lyoko's one. Not being connected to any Surface Sector, it does not have to manage and maintain them. Receiving no data from the latter, it can be run on a co-operative basis and is thus more reliant on itself. Inside, it is less complete than Lyoko's one. The only rooms we have knowledge of are the Celestial Dome (without data fluxes, nor interface) and the main sphere and its labyrinth (the tower included). There is naturally no Skid Hangar, the latter being copyright Aelita and Jeremy. For other rooms, the question remains. 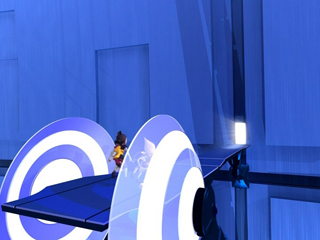 Though the existence of the Arena seems insignificant (no Surface Sectors in the Replika, therefore no Transporter and any use for this room), it would seem rather logical that this Replika possesses a similar core to the Core of Lyoko. The heroes do not however explore this track. Although it would allow them to destroy the Replika, it would have left the undamaged Supercomputer in the hands of XANA. 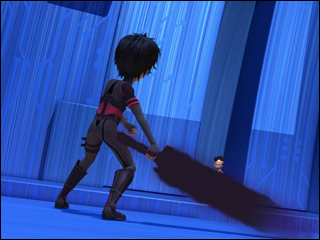 Our Lyoko Warriors therefore opt for the traditional technique of DTA (Docking - Teleportation - Annihilation). 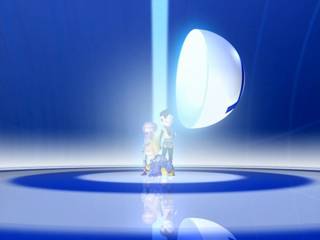 The peculiarity of this Sector, compared to its Lyoko counterpart, is because it possesses an opening connecting the Celestial Dome to the inside, which allows the Skid to dock to the tower. Concerning the inside of the main sphere. The tower did not reveal many secrets, seeing as it was only used to dock the Skid. It remains mysterious, like its twin on Lyoko. In the labyrinth in the sphere, we find monsters and also a key. However, the key does not stop the countdown because there isn't one. It allows for the cancellation of phenomena engaged on the Replika (like a contracting ring around the Skid for example). In the end, the Carthage Replika caused less of a fuss than the long exploration the heroes made in Sector 5 during its discovery on Lyoko.